GolinHarris London has appointed James Bickerton as its first creative technologist. Reporting to EMEA head of creative Charlie Coney, Bickerton will work alongside GolinHarris’ existing digital team to produce digitally centric creative work and drive technical innovation within the business. Bickerton was most recently running his own consultancy, working for companies including Blinkbox and BMB Neon. 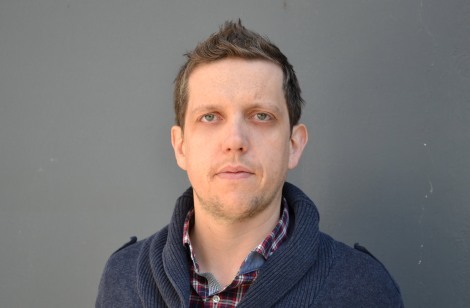 Previously, he was at OgilvyOne and Rascal in Athens and has also worked for JWT in London. ‘Our goal is to create Cannes award-winning work and James’ passion for disruptive, simple ideas, excites us,’ said Matt Neale, president, international. In summer 2011, GolinHarris announced a major organisational redesign to address the increasing influence of digital and social media in communications – splitting the company into four specialist teams of strategists, creators, catalysts and connectors. The agency won International Consultancy of the Year at the 2012 PRWeek Awards last October. Bickerton added: ‘In my career so far, I’ve come to realise what I love and value the most. I am driven by big ideas, connecting consumers to brands and their products in clever yet simple ways.